You keep going to a job you hate, doing work that doesn't interest you and working towards a career that you are not even remotely passionate about! You keep spending money you don't have on things you don't really want or care for and wonder why you are in the position you are currently in. You have a lazy attitude when it comes to your health and you keep over eating and only exercise when you need to squeeze into that dress for someone's wedding...then you wonder why you don't have the energy to work on your dreams, goals and yourself! You are more interested in being entertained than learning, growing & developing as a person so you waste your time playing candy crush and watching the latest TV series at night rather than reading books that will change your life or working on your blue print for success, joy and fulfilment! 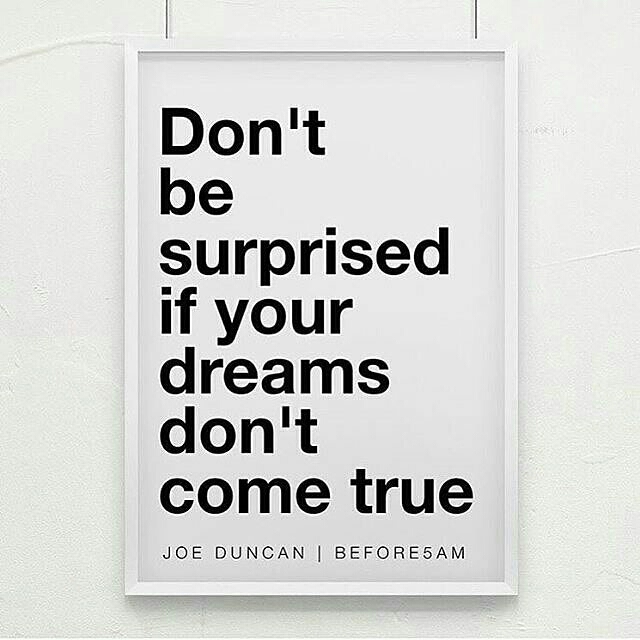 Please Don't be surprised or disappointed if your dreams don't ever come true! 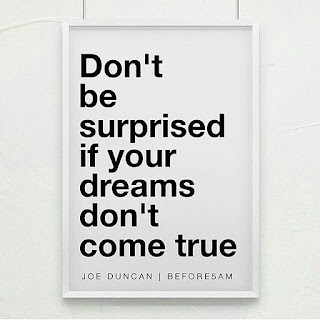 I'm here to tell you it won't be different if you keep following everyone else and Keep doing what you have been doing up to this point in your life!